Show Your Support for Grassroots Environmentalists and Check Out the Goldman Environmental Prize! Championing the fight for a more sustainable world isn't always an easy task, but there are countless individuals out there who are doing amazing work in environmental activism. 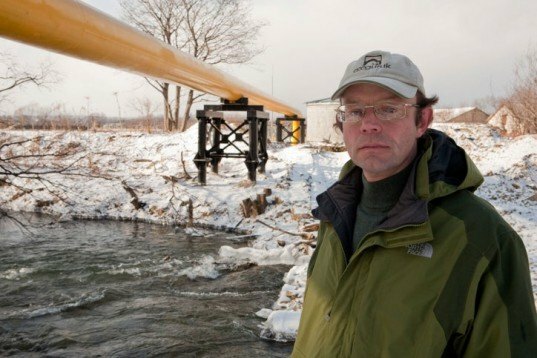 While many of them never get a lot of media attention, funding or the limelight that they deserve for their laudable efforts, the Goldman Environmental Prize is trying to change all of that by helping raise awareness and support for these unsung environmental heroes. For over 20 years, the Goldman Environmental Prize has provided funding for grassroots environmentalists in the hopes that everyday people with inspired ideas can truly change the world. The prize awards $150,000 to environmental heroes each year to support the struggle to win environmental victories across six continents - from fighting for clean water to creating viable green power after decades of nuclear disaster to protecting endangered species from man's destruction, this year's prize winners are especially nothing to sneeze at. Jump ahead for a look at six amazing individuals who represent what it really means to make the world a better place! 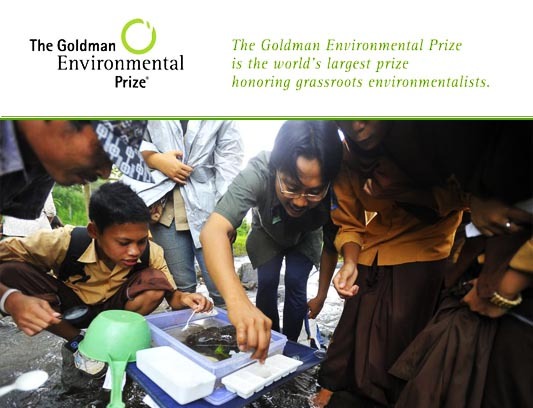 The nominees for The Goldman Environmental Prize are selected confidentially by an international network of environmental organizations and individuals. From there, a jury made up of environmental leaders from all over the world come together to select the winners. Prize winners are then invited to participate in a 10-day tour of San Francisco and Washington, D.C. This trip includes an awards ceremony and presentation, as well as the chance to participate in, news conferences and media briefings. Meetings are organized for the winners to sit down with political, public policy and environmental leaders who have come to play a major role in shaping the world that we live in. 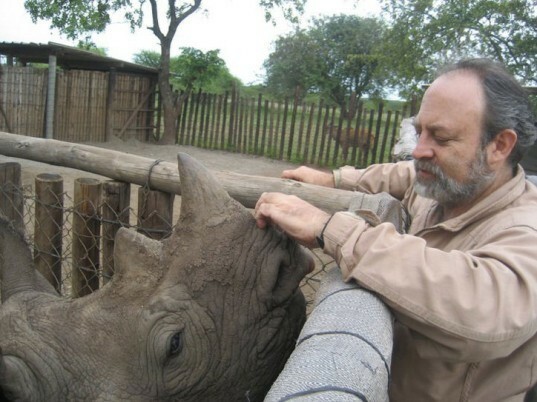 RAOUL DU TOIT, Zimbabwe: Raoul du Toit coordinated conservation initiatives that have helped to develop and maintain the largest remaining black rhino populations in Zimbabwe. 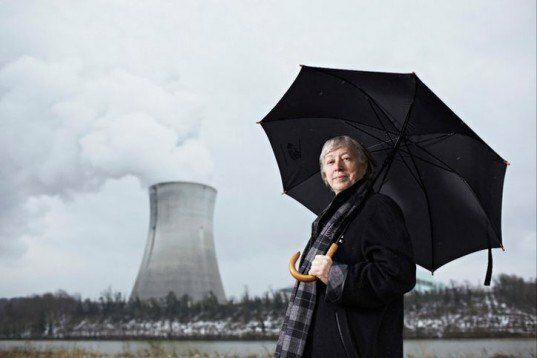 URSULA SLADEK, Germany: In response to Germany’s expanded reliance on nuclear energy, Ursula Sladek created her country’s first cooperatively owned renewable power company. 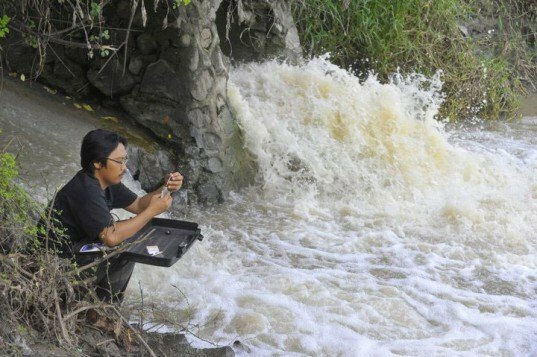 PRIGI ARISANDI, Indonesia: Biologist Prigi Arisandi initiated a local movement to stop industrial pollution from flowing into a river that provides water to three million people. 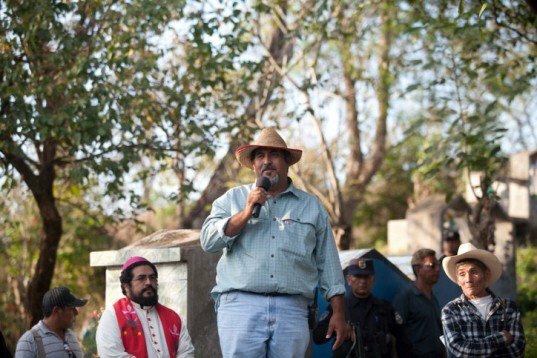 HILTON KELLEY, USA: Now leading the battle for environmental justice on the Texas Gulf Coast, Hilton Kelley fights for communities living in the shadow of polluting industries. 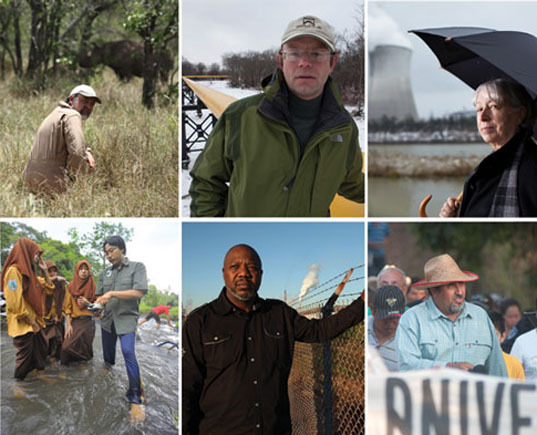 If you’re like us and see the inspiring and important work being done by these six people, show your support for all of these inspiring projects and check out the Goldman Environmental Prize website, and “Like” them on Facebook! This is another great incentive to those who work to make our future more sustainable, and an effective mechanism to bring attention to local issues and activists! A plus! Can't think of a better way to spend money than on those who work to protect our world, committed efforts add up. All of these folks are doing such amazing work to help improve our world! It really gives me hope that we can make it through these tough times and achieve a sustainable future! Thank you so much! Wow -- truly inspiring work! Wow. Outstanding, incredible, inspiring people..giving us all something to strive for! Such inspiring work - congratulations to all. These people are amazing, and we should all be inspired by their hard and dedication. I know I am. I am so inspired by these people! What an incredible group of deserved prize winners. The nominees for The Goldman Environmental Prize are selected confidentially by a international network of environmental organizations and individuals. From there, a jury made up of environmental leaders from all over the world come together to select the winners. Prize winners are then invited to participate in a 10-day tour of San Francisco and Washington, D.C. This trip includes an awards ceremony and presentation, as well as the chance to participate in, news conferences and media briefings. Meetings are organized for the winners to sit down with political, public policy and environmental leaders who have come to play a major role in shaping the world that we live in. AFRICA PRIZE WINNER RAOUL DU TOIT, Zimbabwe: Raoul du Toit coordinated conservation initiatives that have helped to develop and maintain the largest remaining black rhino populations in Zimbabwe. EUROPE PRIZE WINNER URSULA SLADEK, Germany: In response to Germany’s expanded reliance on nuclear energy, Ursula Sladek created her country’s first cooperatively owned renewable power company. ISLANDS PRIZE WINNER PRIGI ARISANDI, Indonesia: Biologist Prigi Arisandi initiated a local movement to stop industrial pollution from flowing into a river that provides water to three million people. 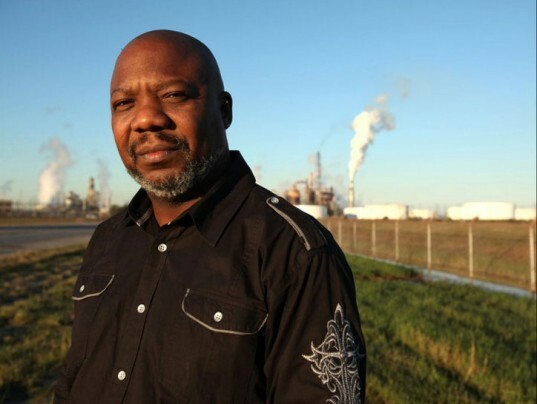 NORTH AMERICA PRIZE WINNER HILTON KELLEY, USA: Now leading the battle for environmental justice on the Texas Gulf Coast, Hilton Kelley fights for communities living in the shadow of polluting industries.